Lansat & Associates Photography has provided professional photography services for over 30 years, serving the Maryland, Virginia and Washington, D.C. area. Every event in life has a story to tell and we view photography as an art allowing you to tell the story of your special day or event through visual images that save the moment for a lifetime. With over 30 years in business you can expect the BEST from Lansat Photography. Here are just a few of the services we provide. 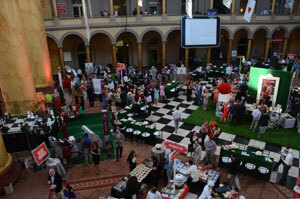 Are you looking for away to make your next event a stand-out. Let Lansat Photography provide all the fun with Green Screen photography and photo booths. 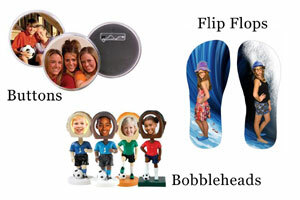 People love these types of fun photos and they get shared everywhere at tradeshows and corporate events. Our experienced event staff knows that simply taking great event or convention photos isn't always enough. You'll want your business to stand out. You want your meeting, event, or convention to be memorable long after its over. 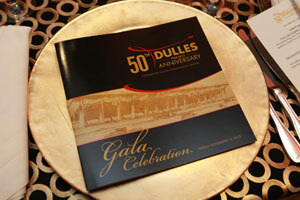 Lansat was the official photographer covering the gala event for the 50th Anniversary of Dulles Airport. We offer formal and creative photo sessions; our creative photo sessions are tailored for each client and our more traditional photographs can be done in our studio or on location. Our studio is committed to giving our clients the very best in photographic coverage. Serving Montgomery County, MD, Northern Virginia, and Washington, D.C.
Howard Lansat has 30 years of personal photography expereince and manages a team of 15 photographers to meet every photo need. Copyright © 2005 - Howard Lansat & Associates Photography All Rights Reserved.